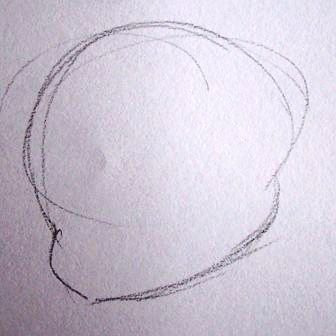 Drawing the variations of the human face. 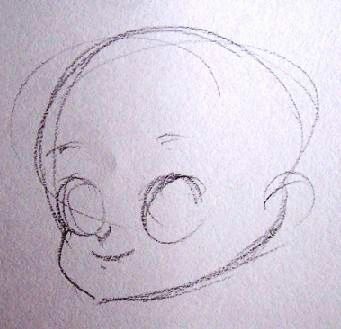 We will draw some characters step-by-step. Our first example will be a young girl. In Manga, young girls are a style of their very own. This style is called "chibi". 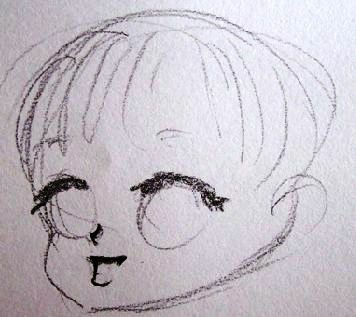 Basically, the eyes are drawn larger, their nose is reduced and her face is rounder than usual. I begin by placing the volume of her head and chin. Then, I add her facial traits.